Fill in your details and we will contact you with TPG Fibre To The Building offer. If you continue to experience the same problem, please contact TPG on 1300 403 211 for further assistance. You need at least 25Mbps to watch 4K content on Netflix and YouTube. With our FTTB product, you can stream 4k on multiple devices without suffering the buffer! Get FTTB on our no lock-in contract or enjoy free setup on an 18 month contract, both come with Wi-Fi modem included. Whether you are a renter or home owner, we've got you covered. TPG owns and operates the end to end Fibre network infrastructure to deliver our FTTB service which means we have full control over your service quality. All our FTTB plans include a Wi-Fi router with AC Dual Band capability so that you can get great Wi-Fi speed and performance on all your devices. A phone service is included in all our FTTB bundles. If you want to make calls, you can Pay as You Go or choose from national and international call options. The TPG Telecom group is the second biggest fixed line broadband provider in Australia. TPG's range of services and features help you make the most out of your TPG Voice Service. Allows you to divert calls from your TPG Voice Service number to a different number more Standard call rates apply to forwarded calls. This feature is free to customers on FTTB Bundle Plans. Only available in selected buildings. Please check availability in your area. Further availability checks will be conducted upon registration. (contract term x $(FTTB Bundle Monthly Charge) + setup + $20 Prepayment + $10 Equipment Delivery Fee). Early termination fees apply. Typical Evening Download Speed is measured between 7pm and 11pm. Actual throughput speeds may be slower and could vary due to various factors including interference, customer cabling and equipment, download source, and quality and distance of in-building copper. The S Bundle has an upload connection speed of up to 1Mbps. The M, L and XL Bundles have an upload connection speed of up to 20Mbps. Above monthly charge and setup pricing is based on customers agreeing to waive the Customer Service Guarantee (CSG). For more information please contact TPG Sales on 13 14 23. TPG will supply every customer with a Wi-Fi Modem to get connected with TPG’s FTTB service. Depending on your building, TPG may also supply a Network Termination Unit (NTU). Customers are required to pay a $10 standard delivery fee or they can collect the necessary equipment from TPG’s head office in North Ryde NSW. Open the shipping contents sent. Follow the TPG welcome pack with detailed plug-in instructions for the NTU (if applicable) and Wi-Fi Modem. On the date of the installation, a TPG technician will arrive at the Main Distribution Frame in the customer’s building and connect the copper pair cable from the customer’s side (MDF “B”) to FTTB equipment (MDF “A”). TPG’s technician will make sure the supplied equipment between customer’s premises and FTTB head end equipment is connected correctly before the service can be marked as active. TPG’s responsibility and demarcation point is the Main Distribution Frame (MDF). TPG is not responsible for the in-building cabling. Once the FTTB service has been activated, if you currently have any existing services like phone or internet at your premises, you will need to contact your current provider to have these services cancelled to ensure you do not receive any further bills. TPG recommends you check with your current phone and/or internet service provider regarding contractual commitments and termination/disconnection fees associated with your current services. TPG is not responsible for these charges. If you are also porting your existing phone number to TPG, do not cancel your phone service until the number has been ported. TPG Voice Service is delivered using voice over Internet Protocol (VoIP). The Voice Service supports fax to national numbers in the Telstra, Optus, AAPT and Primus PSTN network. Fax to international numbers is not reliable and VoIP based fax is not supported. This plan does not support the Priority Assistance Scheme. The Voice Service does not support old dial up technology devices with built in modems such as EFTPOS, Back to Base Alarms and Foxtel Program purchase. These devices have been replaced by Internet Protocol (IP) enabled devices and many TPG customers are able to use EFTPOS, Back to Base alarms and Foxtel Program purchase through the internet provided that their devices are IP enabled. For further details on IP enabled devices contact your device supplier. TPG Voice Service also does not support analogue modems, Priority Assistance Scheme, calls to 19/1900, 0500 numbers and Universal International Freephone Numbers (UIFN). The Voice Service requires a broadband connection and power to the Wi-Fi modem router supplied by TPG. If there is a broadband connection outage in your premises due to power or other faults, the Voice Service will not work and you cannot make phone calls including "000" emergency calls. Once an FTTB Bundle plan is purchased, you cannot cancel either component (FTTB or Voice Service). Cancellation will cease both services. You cannot purchase either TPG FTTB or Voice Service as a standalone service. Your FTTB Bundle application takes approximately 10 working days however in some cases can take up to 20 working days. At registration time, you can choose to port your existing number to TPG or have TPG supply a Direct Inward Dial Number (DID) for use with the Voice service. This number will be allocated to you based on the address which you provide us at the time of registration. Charges for calls are not included in the FTTB S Bundle and will be charged listed TPG rates on a 'pay as you go' basis and deducted from your Prepayment. Calls to 19/1900 numbers are not supported. Charges for calls are not included in the FTTB M Bundle and will be charged listed TPG rates on a 'pay as you go' basis and deducted from your Prepayment. Calls to 19/1900 numbers are not supported. FTTB L Bundle allows you to make unlimited Local Calls (excluding 13/1300 numbers), unlimited Standard National Calls to Landlines and unlimited calls to Standard Australian Mobiles. Calls to 19/1900 numbers are not supported. The 100 International Minutes per month included in bundle can be used to call International Landline and Mobile destinations (excluding calls to satellite phones) listed on our International Call Rates page. Standard per minute rates listed on our International Call Rates page apply after the first 100 minutes of International Calls and for calls to satellite phones. Unused included minutes for international calls expire at the end of each month. Charges for calls made that are not included in the bundle (e.g. calls to 13/1300 and Directory Services) will be charged at listed TPG rates by deducting usage charges from your Prepayment. FTTB XL Bundle allows you to make unlimited calls to Landline and Mobile numbers in 15 countries (Canada, China, France, Germany, Greece, Hong Kong, India, Korea (South), Malaysia, New Zealand, Singapore, Taiwan, Thailand, United Kingdom, United States), unlimited Local Calls (excluding 13/1300 numbers), unlimited Standard National Calls to Landlines and unlimited calls to Standard Australian Mobiles. Calls to 19/1900 numbers are not supported. Standard per minute rates listed on our International Call Rates page apply for International Calls to other countries and calls to satellite phones. Charges for calls made that are not included in the bundle (e.g. calls to 13/1300 numbers, Directory Services and satellite phones) will be charged at listed TPG rates by deducting usage charges from your Prepayment. All TPG services are prepaid. You must pay the monthly recurring charges in advance. In addition, you must make a prepayment for usage that is not within the included value (if any) for the plan that you have acquired. Your initial prepayment will be $20. After registration, you may nominate how much you wish to prepay but the minimum prepayment is $20. The prepayment will be debited from your nominated bank account or credit card. By acquiring and continuing to use the service, you agree to an automatic top up of your prepayment. The top up will occur when the amount of prepayment falls to below $10.When that happens, TPG will debit a sufficient amount from your bank account/credit card to restore your nominated prepayment amount. If your usage is high, this can occur more than once per month. You authorise TPG to make such debits to your account/credit card. If you do not exceed the Included Value and do not incur any charges that are excluded from your plan, there will be no automatic top-ups. We will send you messages about your usage and the debits during the month. Your service will become inactive if our attempts to debit credit card/bank account to top up your prepayment are unsuccessful. If you do not use the prepayment, it will be forfeited to us when you cancel the service. You agree that no bill will be provided for this service and that direct debiting of your account or charge to your credit card may occur notwithstanding that no bill is provided and that it may occur even though you may not have had the opportunity to check charges at least 10 working days before the debit. Monthly access charges are payable monthly in advance. Payment options are Direct Debit or Credit Card. All plans come with Dynamic IP address. TPG's free IPTV service is not supported on TPG FTTB Bundle plans. 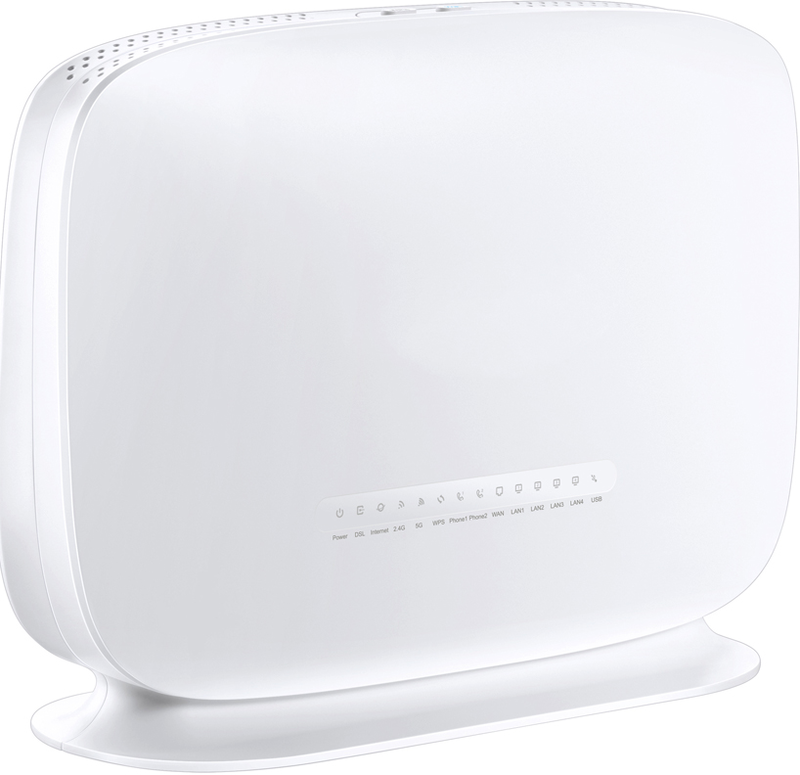 A 4 Port Wi-Fi Modem Router is included in FTTB Bundle plans. $10 Delivery fee applies if equipment is not collected from TPG's Head Office. Cheap Local, National and International Calls. Click here to view call rates. What is the FTTB service? Fibre to the Building (FTTB) is a high speed broadband service that is delivered using fibre optic and other network equipment that has been installed in the basement of multi-dwelling buildings. TPG makes use of existing copper wires within the building to enable communication between the customer premises and TPG’s equipment. When is the FTTB service coming to my building? TPG FTTB service is only available in selected buildings, click here to check if the service is available in your area and to register your interest. How is FTTB service's reliability compared to ADSL broadband? TPG FTTB is a more reliable service. In this service fibre optic cables are connected to the network boundary point (which is the MDF) of the customer's building. Are the speeds provided by the FTTB service guaranteed? Actual throughput speeds may be slower and could vary due to various factors including customer cabling and equipment, download source, and quality and distance of in-building copper. Devices connected by Wi-Fi may experience slower speeds than those connected by Ethernet cable. For TPG Voice services, you can monitor your actual usage (in near real time), bar outbound calls of various types, and make use of other spend management tools, all via the My Account section of the TPG Website at no charge. For more information about using these tools, please contact Customer Service on 13 14 23. Can I get TPG FTTB Bundle? In selected FTTB enabled buildings. Check for service availability at your home here. Will TPG supply me with a router to work with the FTTB Bundle? Yes, TPG FTTB plans include an FTTB ready 4 ports Wi-Fi router, a $10 delivery fee applies. How long will the installation of my FTTB service take? Your FTTB application takes approximately 10 working days however in some cases can take up to 20 working days. Is a technician appointment required to install the FTTB service? Will TPG notify me of the installation date during the application process? What can I expect when the TPG technician visit's my premises to complete the connection? On the date of the installation, a TPG technician will arrive at the Main Distribution Frame in the customer's building and connect the copper pair cable from the customer's side (MDF "B") to FTTB equipment (MDF "A"). TPG's technician will make sure equipment between customer's premises and FTTB head end equipment is connected correctly before the service can be marked as active. TPG's responsibility and demarcation point is the Main Distribution Frame (MDF). TPG is not responsible for the in-building cabling. Will my TPG Voice service work when there is a power failure? TPG Voice service requires a broadband connection and power to both the Wi-Fi modem router and the Network Termination Unit (if applicable) supplied by TPG. If there is a broadband connection outage in your premises due to power or other faults, the TPG Voice service will not work and you cannot make phone calls including "000" emergency calls. What is the Network Boundary Point for TPG FTTB service? TPG will supply every customer with a Wi-Fi Modem to get connected with TPG's FTTB service. Depending on your building, TPG may also supply a Network Termination Unit (NTU). Customers are required to pay a $10 standard delivery fee or they can collect the necessary equipment from TPG’s head office in North Ryde NSW. On the date of the installation, a TPG technician will arrive at the Main Distribution Frame in the customer's building and connect the copper pair cable from the customer's side (MDF "B") to TPG's equipment (MDF "A"). TPG's technician will make sure the supplied equipment between customer's premises and TPG's head end equipment is connected correctly before the service can be marked as active. TPG's responsibility and demarcation point is the Main Distribution Frame (MDF). TPG is not responsible for the in-building cabling. I have an active phone service. Can I transfer my existing phone number across? You can port (transfer) your phone number from Telstra, Optus, AAPT, Primus or Powertel to TPG. We may not be able to port your number in all circumstances, including where you fail to provide correct account details, or as a result of contractual obligations with your existing provider. If you are porting your number to TPG inbound calling to your number will not commence until porting is complete which will take a further 1 to 5 business days. DID stands for Direct-In-Dial. If you choose or will be given a new phone number by TPG, TPG will assign a new DID phone number to you based on the address you will have installed the FTTB service. It is in a similar format to your existing telephone number ‹10 digit number›. Can I choose my DID phone number? No. If you have chosen to receive or will be receiving a new number from TPG, your phone number will automatically be assigned to you based on the address provided for the installation. 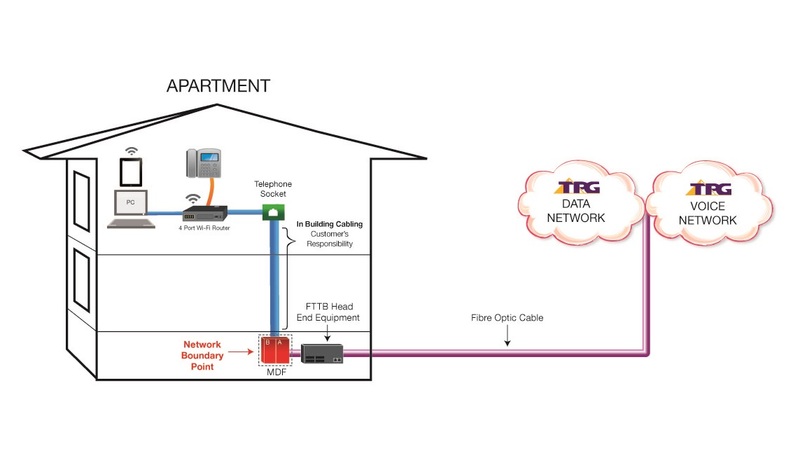 Will TPG deliver the FTTB service to an existing phone wall socket in my premises? Can I use my existing telephone handset and phone wall socket for the TPG Voice service? Can I keep the phone number assigned by TPG when I no longer want to have the TPG Voice service with TPG? Yes, as soon as TPG FTTB Bundle service has been installed, you will be able to make outgoing calls from your TPG Voice service. TPG will charge you for any call usage. However, inbound calling to your number will not commence on the TPG Voice service until porting is completed which will take an additional 1 to 5 business days after your TPG FTTB service is installed. What is TPG Voice service and how reliable is this service? TPG Voice is delivered using Voice over Internet Protocol (VoIP). It works similar to a standard home phone. It is delivered via TPG's own network so you can expect a high quality of service and enjoy great call rates and super fast FTTB broadband on a single connection. Once the TPG Voice service is installed, are there any services that will not work on my line? TPG Voice does not support old dial up technology devices with built in modems such as EFTPOS, Back to Base Alarms and Foxtel Program purchase. These devices have been replaced by Internet Protocol (IP) enabled devices and many TPG customers are able to use EFTPOS, Back to Base alarms and Foxtel Program purchase through the internet provided that their devices are IP enabled. For further details on IP enabled devices contact your device supplier. TPG Voice Service also does not support analogue modems, Priority Assistance Scheme, calls to 19/1900, 0500 numbers and Universal International Freephone Numbers (UIFN). Can I watch Foxtel if I have TPG FTTB Service? Yes, watching regular Foxtel programs is not affected by TPG FTTB service. Regular Foxtel programs use an entirely separate connection from your FTTB or TPG Voice connection. Does Foxtel on Demand or program purchase work with TPG FTTB service? If you have the latest Foxtel set top box, you can purchase and download programs using the Ethernet connection in the set top box to connect via TPG FTTB. This is even better if you have TPG Unlimited FTTB plan as you do not have to worry about your Broadband monthly usage quota when you download Foxtel on Demand programs. Once I register for FTTB Bundle, can I cancel the FTTB or TPG Voice component? No, FTTB or TPG Voice cannot be cancelled separately. Since FTTB is a bundle plan, cancellation will cease both services. Can I have TPG's Voice Service only (without FTTB)? No, TPG Voice Service can only be ordered as a bundle with FTTB. How am I charged for TPG FTTB Bundle plans? Monthly access charges are billed monthly in advance. Yes. 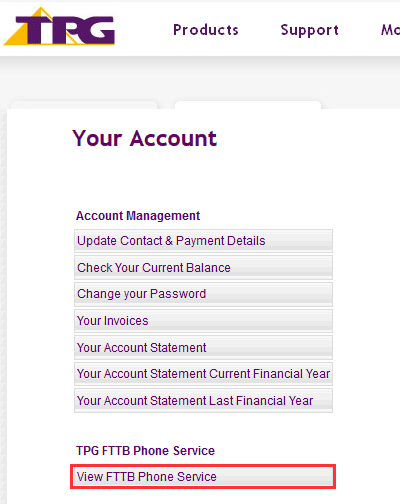 You can view your outgoing call usage online by logging into 'My Account' at www.tpg.com.au/myaccount. No. TPG Voice is a full service including line rental, local, national, international and mobile calls. Customers must not preselect to another carrier or use the TPG Voice service to make override calls on a third party network. No. You can view the current and previous bills online by logging into the My Account section on the TPG website. It's simple and secure. Select 'Your Account Statement' under 'Account Management'. How much does it cost to make calls? For a complete list of call rates click here. Can I call emergency numbers with my TPG Voice Service? Yes, with TPG Voice Service you are able to call 000. It is important to know that TPG Voice service requires a broadband connection and power to both the Wi-Fi modem router and the Network Termination Unit (if applicable) supplied by TPG. If there is a broadband connection outage in your premises due to power or other faults, the TPG Voice service will not work and you cannot make phone calls including "000" emergency calls. ($0.25 x 7 minutes + $0.39 call connect) = $2.14 however TPG will only charge you $2. TPG Voice Service offers a range of free standard features e.g. call barring, call waiting, call forwarding. However there may be some specific services on your existing line that are incompatible with TPG Voice. Click here to view the call features and service we offer. Call Waiting feature is ready to use and do not require activation. All other standard features like call barring can be configured through the 'FTTB Phone Service Control Panel' in Your Account. Standard call rates apply to forwarded calls. If you have FTTB L or XL Bundle, you can make unlimited call forwarding to Local numbers (excluding 13/1300 numbers), Standard National numbers and Australian Mobiles. I am an existing TPG ADSL2+ with Home Phone Bundle customer; can I get FTTB Bundle? Please call our Customer Service on 13 14 23 to discuss your options. I am an existing TPG FTTB Bundle customer, what should I be aware of during relocation? We can provide TPG FTTB Bundle plans to your new location if TPG FTTB service is already available in that building. However you will be required to select a new TPG username for the FTTB service at your new location. A new phone number will also need to be allocated. Please refer to our FTTB Additional Pricing. Can I change my FTTB Bundle plan? Yes. For more information please refer to our FTTB Additional Pricing. I am an existing TPG ADSL2+ customer. Can I switch to TPG FTTB Bundle plans? I am currently subscribed to FTTB Bundle plans. What if I am relocating to a location where TPG does not offer FTTB service? We may be able to offer other products that are available in your new location. Standard FTTB relocation fee applies. For more information please visit FTTB Additional Pricing.